The Loxia 2.4/85 is the youngest member of our manual focus lens family for Sony α7 series cameras. 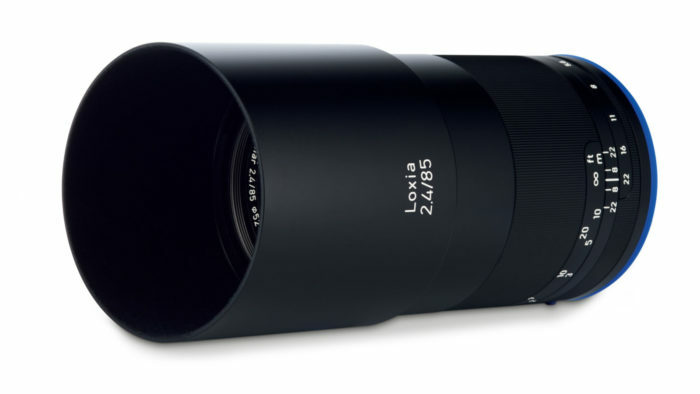 So the already available three focal lengths of the lens family – Loxia 2.8/21, Loxia 2/35 and Loxia 2/50 – are supplemented with a lens in the tele range. Specially designed for mirrorless full-frame cameras with E mount, the compact ZEISS Loxia lenses are the ideal choice for travel and street photographers who value light and compact camera equipment. “In terms of its technology and the feel of its surface, the Loxia 2.4/85 fits perfectly with the existing focal lengths, and is particularly well suited for portrait photography,” says Christophe Casenave, product manager with ZEISS Camera Lenses. The Loxia 2.4/85 will be available in stores starting December 2016. The new Loxia 2.4/85 with its seven lens elements in seven groups has been designed for digital sensors and is based on an optimized ZEISS Sonnar design. The lens has a minimum object distance of 0.80 meters. The manual focus ring has a rotation angle of 220 degrees and enables the subtlest variations of focusing. The large aperture of f/2.4 combined with the high-quality optical design ensures an appealing bokeh. The electronic interface transfers lens data (EXIF) as well as focus movements. Additionally, if desired by the user, this activates the camera’s loupe function. “Precise manual focusing with hard stop and the mechanical setting of the aperture (working aperture priority mode) provide sophisticated photographers who don’t want to leave everything to the camera abundant possibilities for composition,” Casenave adds. Videographers also don’t come off badly with the new Loxia. Again the well-known de-click function is on board. This allows for mechanically deactivating the click stops on the aperture ring — a condition for silent and infinite adjustments of the aperture. As a result, the ZEISS Loxia 2.4/85 is also an attractive lens for video cameras that have an E mount, such as the Sony PXW-FS7 and PXW-FS5. The overall package comprises a robust metal barrel, the filter diameter of M52 (which is identical across all focal lengths) and protection against penetration of dust and spray onto the lens mount. In addition, the external diameter, which is uniform across all ZEISS Loxia lenses, simplifies film shoots. In combination with our ZEISS Lens Gears, our Loxia lenses can also be used ideally with a follow focus system. The Lens Gears are made of high-quality aluminum with a hardened surface coating. Through simple mounting they can be attached to the focus ring of the lens. To do so, they are simply slid over the lens and then fixed by turning two rings that each go in the opposite direction. Therefore, precise focusing is possible and the lenses become endowed with similar features as a full-scale cine lens. The Lens Gear Rings in the sizes mini (62 – 69mm, 60 – 67mm with GumGum) fit the Loxia lenses. 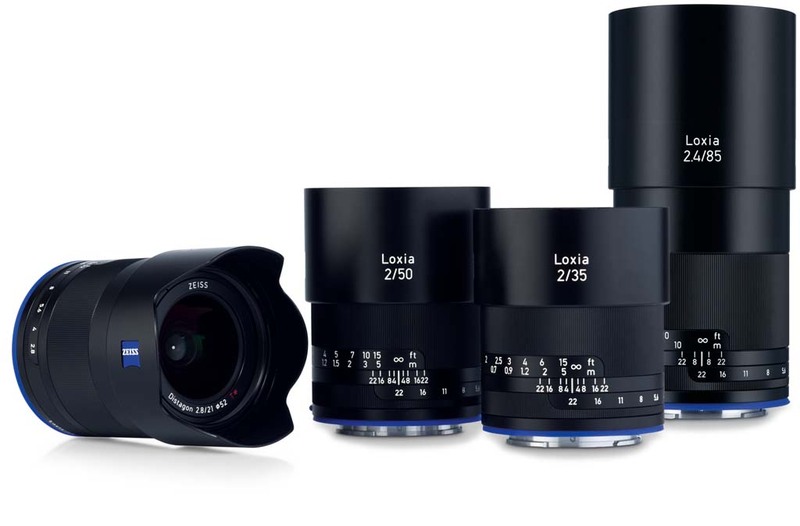 Global delivery of the ZEISS Loxia 2.4/85 will begin at the beginning of December 2016. The lens shade is included with delivery. The recommended retail sales price is 1,399 euros (including 19% VAT in Germany) or 1,399 US$. This entry was posted in Sony lenses and tagged Loxia 85mm f/2.4 Sonnar FE, Zeiss Loxia 85mm, Zeiss Loxia 85mm f/2.4 Sonnar FE. Bookmark the permalink. Trackbacks are closed, but you can post a comment.